Welcome to the January 2019 edition of our online business/blog income report. As you’ll see by reading the report, the income does not only come from our blog but also our course sales. However, our blog has become the platform for us to provide these digital products for our students. Digital courses are a great way to monetize a blog! In fact, our Family Business is online and is location independent. 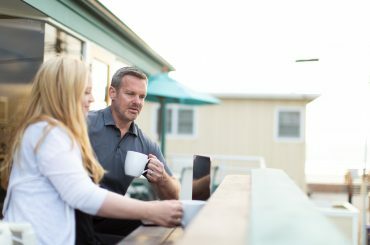 We can run our business from anywhere in the world (and we do). We’re not tied to a physical location and we still operate a very profitable and successful business. Not only are we location independent, but we also involve our whole family in our business. This gives us the opportunity to show our children how to earn money online, teach them many important business and life skills, and most importantly, show them that the world is much different in 2019. We’re teaching them the skills to thrive in the future, not the past. We’re passionate about showing others how to start their own blogs and online businesses. What we’ve done is very possible for others to emulate with the right knowledge and plan. We know that the figures in this report may seem unattainable at first glance, but know that this did not happen for us overnight. Like any business, we made progress and improvements over time to get to our current income level. Feel free to browse our past income reports over the last 2 years to see our progression. January 2019 was our BEST MONTH EVER!! We finally cracked the $300,000/month barrier and we’re excited about what 2019 will bring. We’ve been writing income reports since March of 2017, and if you read them all, you’ll see that our income has increased substantially over the past couple of years. I want you to know that it doesn’t take forever to scale things up if you provide a good service and use some solid principles to increase your business. I know it seems a little crazy to post our income figures every month, but we do it because we know that it can help others on their own journey to increase their online income. Reading other blogger income reports over the years has really inspired us. We hope you will find inspiration and tips from reading our reports too. It’s A Lovely Life® is a family lifestyle and travel blog. We share about products and services that make life better and easier. We love to travel and we do so 150+ days a year as a family, featuring resorts and family-friendly destinations. I am a licensed real estate broker and have been for the past 12 years, owning our own successful brokerage. At the beginning of 2017, we made the decision that I would work on the blogging business full-time because the income potential was so great. 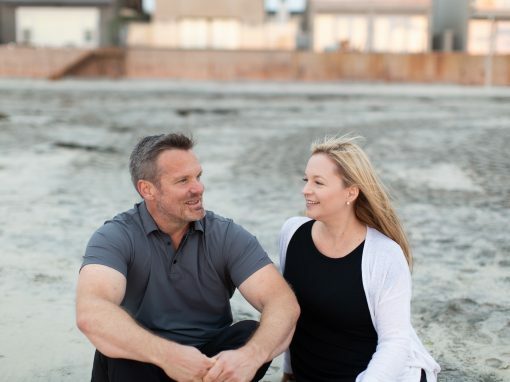 I was also not enjoying real estate as much as I used to and we both believe that happiness is important for our family (especially me…haha)! I learned so much in the real estate world that directly benefits our online business, so this was a natural transition. A number of years ago, we started to get involved more with travel blogging, and we are so glad we did! Last year we traveled 150 days out of the year. We were hosted on these trips, and in most locations, we received VIP treatment! In 2018 we’ve been to Hawaii on (2 separate trips), St. Croix (US Virgin Islands), Miami, Orlando, an Alaskan Cruise, Victoria (BC, Canada), San Francisco, Arizona, Disneyland (2 separate trips), Pasadena, Seattle, Montana, Wyoming, Yellowstone National Park, London, Ireland, a transatlantic cruise, Nova Scotia, Newfoundland, New York City, Los Angeles, and Austin, TX! In 2019, we’ve got a number of trips already planned including Mexico (Cancun area), Orlando including Disney World and a Disney Cruise, and Hawaii. We’re excited to see where we end up going in 2019! 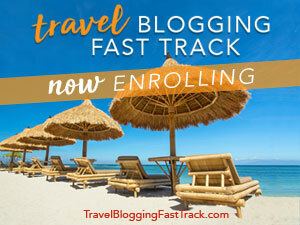 While travel blogging does not contribute to the majority of our income, it is increasing. The travel blogging market is still in its infancy as many resorts and destinations are now beginning to offer payment in exchange for sponsored coverage. We also have gotten heavily involved in video over the past couple of years. We film some standard vlogs, travel vlogs, room and resort tours, as well as some short funny videos. We have been hired to do numerous sponsored video content projects over the years for lifestyle and travel. We’re continually stepping up our video efforts and are excited about the content we are producing! HERE is our YouTube Channel (we’d love it if you subscribe). We also post most of our videos on our Facebook Page. Start A Money Making Blog – Free 5-day Email Crash Course (click the link to signup) – this course was designed for new bloggers to help them start a blog the right way. So far, the results have been amazing. Over 300,000 people have signed up for this course since mid-March 2017, and we’re constantly expanding our marketing efforts to reach as many interested people as possible. Having over 200,000 people on our email list really helps to get our message out there. We also get countless great emails from our subscribers telling us how they love reading what we send out. We’re able to hit these types of numbers because we’ve been using ads on Facebook, Instagram, and Pinterest. Some subscribers come organically from visiting our website, but there is no way we would be achieving these subscription numbers without spending a substantial amount on ads. 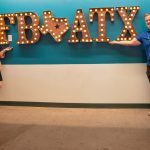 Facebook, Instagram, and Pinterest ads are a difficult thing to master, but after some trial and error, a LOT of research, and a considerable amount of money spent, we’ve been able to learn how to bring a consistently positive return on our ad investments. We spent a sizable amount in ads in January and we foresee spending even more in the future! A big step forward for us came in June 2017 when we launched our premium course, the Blogging Blastoff (formerly known as the 30 Day Blogging Fast Track). This is an intensive course that we designed to provide bloggers with exact money making systems, the steps to dramatically increase their social accounts, and also provide a defined system to drive traffic to their blogs. We have successfully launched over 19 months of the Blogging Blastoff course. So far, over 3500 students have enrolled in the course and we look forward to many more successful launches. There is a new class that starts on the 1st of every month. Spots in the class are limited. Are you interested in learning how we travel for free around the world? If you are considering a career in travel blogging or simply would like to add travel to an existing blog, we have a free training that walks you through it all. The Start A Money Making Blog Facebook group now has over 125,000 Members and is growing rapidly. 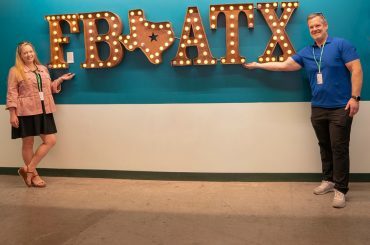 It is the largest new blogger group on Facebook! We are very active in our Facebook Groups answering questions, doing live videos, and running our challenges. Recently we moved the instructional/learning component of our Challenges onto the Teachable platform while we continue to handle all discussion and interaction for the Challenges in the Facebook group. This has really helped to organize the challenges and ultimately has allowed it to be a better FREE resource for our group members. We’re big fans of Teachable! So, without further delay, let’s get to the fun stuff. This includes Sponsored blog posts, affiliate sales, sponsored social content for It’s A Lovely Life® and sponsored content written for other websites. Course Sales: $145,780 (after Paypal fees, credit card processing fees, and affiliate commissions). These are sales that we made during January. If someone opted for the payment plan, we did not receive the full amount this month. However, we did receive payments from the previous month’s payment plans not reflected in this figure. 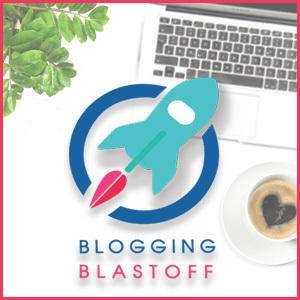 There were a total of 179 Course Sales for the Blogging Blastoff. We are very pleased with how many students have taken and are participating in this course. Our goal from the beginning was to provide something of such value that it would be a “no-brainer” for those interested in progressing their blogging careers. I’m confident we’ve accomplished that task by providing such an extensive curriculum and also providing some great bonuses. Want to see some actual comments and feedback about the Blogging Blastoff course from students that have taken it? BIG NEWS!! We have a new webinar that has been filmed teaching all about how to line up comped travel. It is available now! SIGN UP HERE FOR FREE. 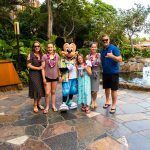 In this free class, we show you exactly how we pitch for sponsored travel opportunities and how we travel over 150 days a year with our entire family! This is more than a course….it is 21 days of interactive assignments and knowledge not being shared by other travel bloggers. Plus we have some AMAZING BONUSES too. This course is open for enrollments NOW and we’d love to have you join in the course too. ***Please note that much of the income listed above has not been received yet. These figures are based on projects committed or contracted during January. Some of the projects have been completed already, and some have not. For the purposes of these income reports, we recognize the income in the month in which the work is committed or contracted. It also includes affiliate income generated. In both cases, there is sometimes a lengthy delay between these steps and when the funds are actually received. For course sales, some of the courses were purchased using a payment plan. We have not received all those payments yet, but the amount above reflects the amount we project to fully receive. We have left out individual names of sponsors for their privacy. 2018 Year Total: $2,274,874.24 ***A Record Year!! Facebook and Instagram Ads – Used to drive sign-ups for our free email courses and build our email list. We spent $120,366 in January 2019. ***We do not detail our exact expenses aside from detailing our ad spending and providing a list of tools that we use to run the blogging business. Please note that we have MANY additional expenses not reflected in this report that relates to our overall business operations. Since we have our own company, we are responsible for substantial other expenses and taxes (health insurance, retirement plans, tax preparation, legal fees, etc) that would be too extensive to document in this report. We also pay for numerous assistants and service providers that help us run our business. One note about our ad spend amounts noted above… Yes, this is a lot of money that we spent in January. Most of this money was spent to promote our free 5 Day Email Crash Course for starting a blog. We also spent a considerable amount on promoting our travel blogging webinar. We do get some immediate return on this amount that we spent, but mostly, it is an investment in the income for future months. Spending this money builds our email list, grows our Facebook group, and expands the number of interested people that we are able to reach in the future. Our January 2019 income of $316.330.12 was our best month ever! We know that our business has plenty of room to grow and we can’t wait to see where we can take it. That means that our 2018 income was 2.61 times our 2017 income. I would really love to see that same (or higher) growth in 2019!! Our next big monthly milestone will be $300,000 per month. There is always a lot of interest in our online course business. We’re working on a magnitude of new content now that will show you more specifically how we create, market, sell, and support our students. Creating an online course is an excellent way to monetize a blog and one of our big goals is always to help as many people as we can live the lives of their dreams. We have just pre-launched a new Facebook group to help our students to start their own online courses. Want to join us in the new Facebook group? We are working on a new webinar focused on how we travel the world for free. It’s taken a lot of time and preparation, but we will be ready to launch it very soon! 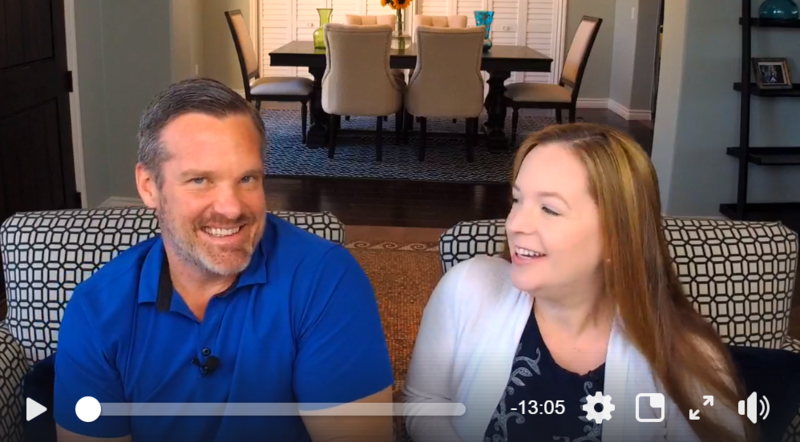 Heather and I have been doing Facebook live videos on our Facebook Page. 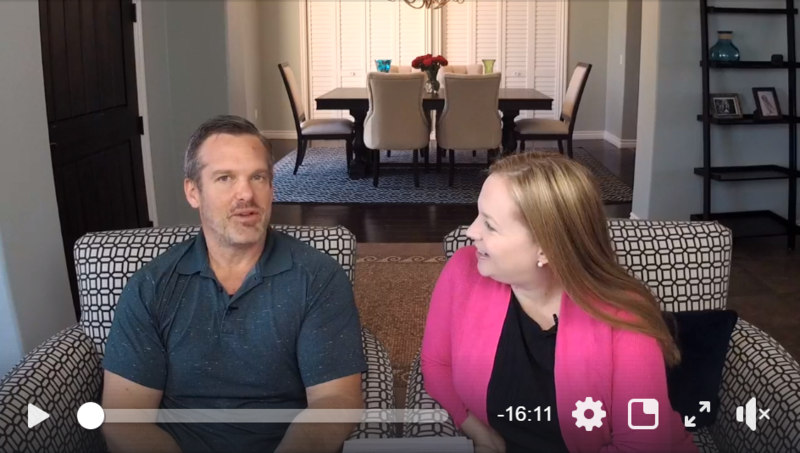 We will be doing many more broadcasts and will cover all things blogging, family business, and online course creation. Please JOIN US by following our page! We’ve started using a system called ManyChat. They are an approved vendor with Facebook that works with Facebook Messenger. It automates some messages and people are really using it in unique ways to enhance interaction with their followers. For instance, on these videos above, we use ManyChat to automatically deliver a pdf document of the material we discuss in our videos. We’re also working very hard to streamline our operations in our business and the support that we offer to our students. Our goal is to overdeliver on the services we provide and we’re constantly striving to do that. One thing I would like to note is that we turned down numerous sponsored opportunities that were not a great fit for our blog this month that would have increased our income even more. At this point in our development, it is very important for us to only work with brands that align very closely with our vision. We have learned that even though this may hurt our short-term income, it really helps to increase our revenue in the long run. In the past, sponsored blog content was a huge part of our income. In fact, when we started doing these income reports and a couple of years before, it was the majority of our income. In fact, sponsored content alone was responsible for about $30,000 per month. Now, our business and priorities have shifted and we only work on sponsored blog content when the fit is perfect. Learn from yesterday, live for today, hope for tomorrow.” ~Albert Einstein Yes to all of that and especially the “live for today part”! We are doing our best to always remember how lucky we are for today and to always make it count! How are you doing? By the way…are you following us on Instagram? Grow our income to $5,000,000 in 2019! That would be over double our 2018 income. 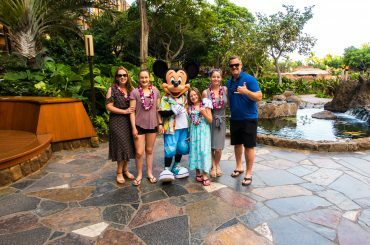 Book additional sponsored family travel destinations for 2019. We already have some big trips on the books for 2019 that we will be sharing more about soon. Launch our new course in the first half of 2019! This month’s screenshot again focuses on our Teachable school. This screenshot shows our 2019 course sales from our Teachable dashboard. The $146,035 is the amount of sales, while $132,372 is the money we actually received…it is after affiliate income and credit card processing fees have been deducted. We made $1,000,000 in earnings in our online course business for 2018 and we are thrilled about it! We are confident we will build upon that in 2019. Online courses are here to stay and are only going to grow from here. SIGN UP FOR OUR FREE COURSE to learn how to do create a profitable course yourself. So that’s it for the January 2019 Online Business Income Report. Follow along each month as we detail our money-making efforts on the blog and our online courses. Remember, this is something that YOU can duplicate too. You just need to have a plan in place and be persistent in your efforts. Blogging or having an online business isn’t a get rich quick scheme and success doesn’t happen overnight. However, it is within reach for those willing to work for it.